Every year, around 40 aircraft are involved in a mid-air collision. Half of these are fatal. Most of these accidents happen in good visibility and daylight. Our traffic avoidance systems help to find, identify, and avoid hazardous traffic. 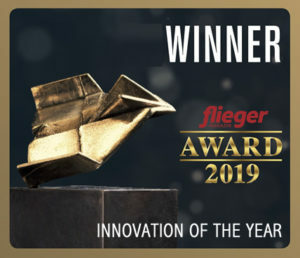 Our award-winning systems are providing increased situational awareness to flight crews in thousands of installations worldwide. They are affordable, easy to install, maintain, and use. Easy to install, affordable traffic systems for any aircraft. Flying with a traffic system for the first time is an experience. You see what you have been missing. Our traffic systems help to make better decisions as they actively support a pilot‘s lookout. They provide better situational awareness, especially in situations with limited perception due to high workload or in complex traffic situations. Safety-relevant instruments must be reliable, trustworthy, and of the utmost quality. Therefore, our traffic systems are produced within our certified production processes to very strict standards. This way we ensure they meet all requirements for reliable avionics systems. Our traffic systems support pilots and effectively enhance traffic awareness. Intuitive warning features provide reliable data for making well founded split-second decisions in hazardous traffic situations. Our Traffic systems integrate perfectly into your aircraft. AIR Traffic marks the heart of the traffic avoidance installation. 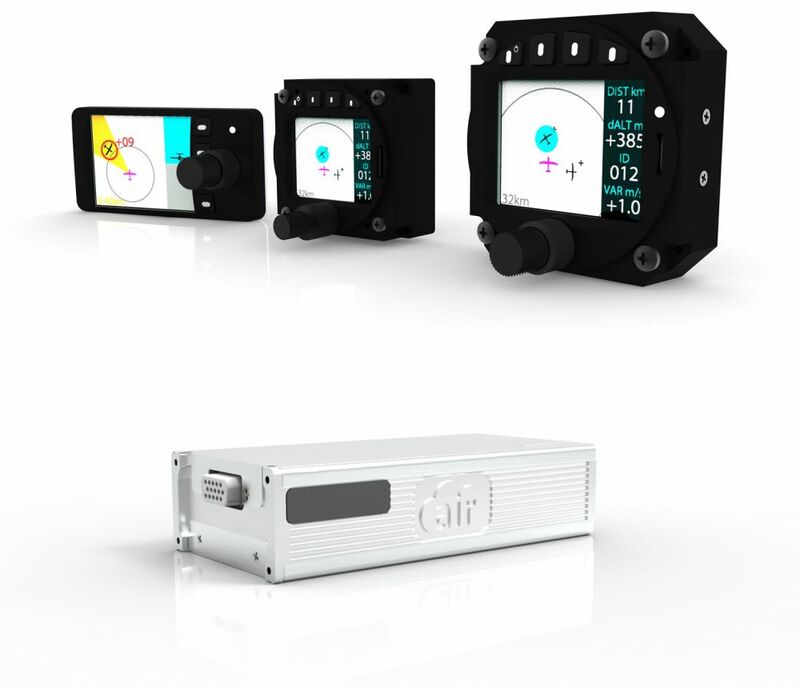 Its flexible interface concept allows for a direct connection to many compatible indicators, third party navigation systems (including IFR certified panel-mount systems such as GARMIN GTN®), or even Apps. AIR Traffic processes and displays a large fraction of surrounding aircraft and drones, normally more than 80% of the manned traffic on weekend days in central Europe below FL100. It shows and is recognized by over 36,000 FLARM® users worldwide. AIR Traffic transmits and receives FLARM® data. Additionally, AIR Traffic receives ADS-B and Mode-S traffic data (It is only capable of computing the horizontal and vertical range of Mode-S traffic. The direction of Mode-S targets is not detected). AIR Traffic integrates quickly into existing avionics ecosystems. Minor Change Approvals and EASA Standard Changes are available for many aircraft types simplifying the legal part of the installation process. Modern, intuitive, and reliable traffic indicators. AIR Traffic Displays are our newly designed premium display solutions for traffic data. They feature robust hardware, different sizes, and advanced functionality that helps reducing flight crew workload and increases traffic awareness. AIR Traffic Displays, or ATD in short, come in three form factors and are based on all of our experience in designing traffic systems plus extensive university research. Their stunning color screens are perfectly readable in bright sunlight. Yet they draw very little power. AIR Traffic Displays are compatible with all FLARM® systems and many other traffic systems. 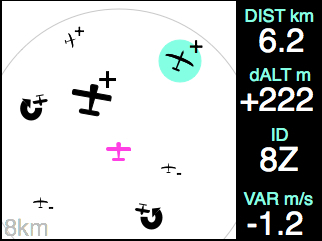 AIR Traffic Displays can directly replace old FLARM®-Displays. They are covered by Minor Change Approvals for FLARM®-Comaptible Systems as well as EASA Standard Changes (CS-STAN). They, therefore, can be installed into a broad range of aircraft without re-certification. Our all new AIR Traffic marks the heart of the traffic avoidance installation. It is a collision avoidance system for hidden/remote installation. The system combines ADS-B and Transponder reception with a latest generation FLARM® transmitter and receiver (PowerFLARM with two FLARM antennas and antenna diversity). 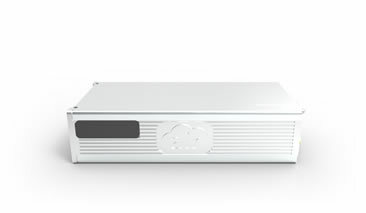 It can be installed remotely, integrating into exisiting cockpits and sending traffic data to traffic displays, navigation systems or wirelessly to apps. As an option, it can be installed together with our AIR Traffic Display as a single, compact unit. 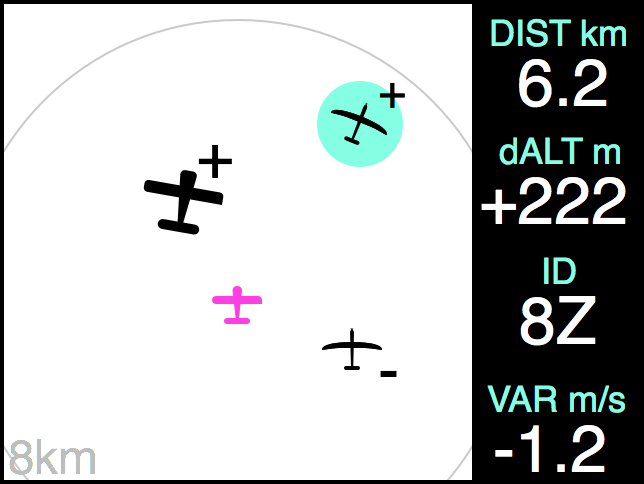 AIR Traffic receives the exact 3D-position of FLARM® and ADS-B Traffic as well as distance and relative altitude of Mode-S transponders. Additionally the own position is sent out to all FLARM® compatible systems - over 35.000 in use worldwide. Configuration of an AIR Traffic is as simple as using the internet - with any smartphone, tablet or PC. Simply connect to the WiFi® network AIR Traffic provides and open a website. Additionally it features advanced diagnostics functions that help testing and verifying its correct function. AIR Traffic‘s flexible interface concept allows for direct integration into exisiting cockpits. It works with traffic indicators, navigation systems (including IFR certified panelmount systems such as GARMIN® GTN®), or even wirelessly with apps via an integrated WiFi® interface. In addition to its data interfaces, AIR Traffic features an audio output for warning signals, discrete inputs for connection of panel- or airframe switches, and a special relay in/output for control of external devices such as anti collision lights. We have sold thousands of traffic systems, and have listened closely to installers. AIR traffic features robust connectors, a smaller design, and better mounting options. It can even be combined with an AIR Traffic Display to a single, panelmount unit. Minor Change Approvals are available for many aircraft types simplifying the legal part of the installation process. AIR Traffic has been qualified according to RTCA DO-160 for environmental conditions. It can be integrated into larger aircraft types and helicopters by maintenance organizations. AIR traffic plays warning sounds using its audio output. Warnings can be set up to beeps or a voice output. Voice warnings help to reduce head-down-time and increase situational awareness by actively announcing threat traffic. AIR Traffic Display features illuminated controls and an ambient light sensor that automatically adjusts the screen's brightness. For dazzle-free, crystal-clear display quality and perfect traffic awareness, if its day or night. Latest generation PowerFLARM radio technology with antenna diversity and increased range. Works with hundreds of different systems capable of displaying traffic. Many functions of the new AIR Traffic Displays have been developed as a result of current research projects at leading research facilities such as the Institute of Flight Systems and Automatic Control at the Technical University of Darmstadt. We have added a range of new and unique functions to increase safety. A new radar symbology helps to differentiate different types of aircraft, e.g. helicopters from gliders or jets. A new alert view helps to avoid misinterpretations in conflicting traffic situations. Traffic is also monitored after a signal loss with tracking of its probable position. Traffic is indicated in a "radar-style" screen. The range can be adjustet using a rotary knob from 500m to 32km radius. The own aircraft (magenta) and other received traffic are shown with aircraft symbols. The new alert screen has been designed as a result of current research. It helps reducing potential for misconceptions, especially in situations with high bank angles of the own aircraft. The screen is easy to interpret, even for crews who are unfamiliar to flying with traffic warning systems. Conflicting head-on traffic is displayed using a unique "horizon-style" indication that allows for quick and easy situation conception. The new indication has been developed in cooperation with research facilities, with the help of expert interviews and the help of surveys of several hundreds of pilots. It can help to reduce reaction time in confliciting situations. Targets on the radar-view can be selected using a rotary knob. 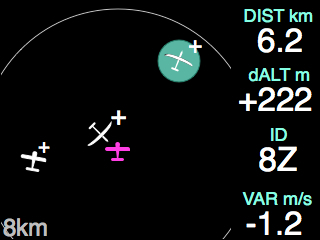 Pilots can actively select a target to review detailed target information such as vertical separation or distance. The integrated database delivers in-detail infos on targets such as registration or aircraft type. Targets of special interest can be marked in different colors for easier recognition. After losing the signal of a selected target, the target's last known position is continuously monitored and displayed with increasing vagueness. This helps keeping an eye on out-of-range-targets and estimating their probable position. The user interface can be switched to a dark mode. Especially when flying at night, the dark user interface helps avoiding distractions. Some users also prefer the dark user interface in daytime. Especially if other black displays are used in the same panel, AIR Traffic Display shows a familiar face. Sometimes airspace is really crowded, so is the display. Finding special targets can take very long. AIR Traffic Display uses softkeys for fast and convenient selection of up to four special targets like teammates or friends. Different types of traffic (powered aircraft, gliders, circling aircraft) are shown with different symbols. Very high or very low targets are smaller than targets in the same altitude as the own aircraft. Differential altitude is directly indicated on the symbol (little plus or minus sign) - helping to easily interpret the traffic situation. Displays traffic from FLARM® or GARMIN® TIS®/GDL-90 compatible systems. Warns from traffic, alert zones, and obstacles. Shows detailed traffic information such as trajectories and identification. Works with all FLARM compatible systems that have ever been sold. Purchase our award-winning collision avoidance products directly at AIR STORE. Not all functions shown are included with delivery of the respective units. Obstacle functions require a valid obstacle database which may lead to additional costs. AIR Traffic is only capable of receiving Mode-S traffic in horizontal and vertical range. The direction of Mode-S targets is not detectable. Traffic systems can never provide an absolute protection from collisions or dangerous approximations.